Bharat Sanchar Nigam Limited today announced the launch of Virtual Network Operator (VNO) Services on a pan-India basis. The VNOs, Adpay Mobile Payment India Private Limited and Plintron India Private Limited have integrated their systems with BSNL mobile infrastructure and are ready to offer services to retail customers. Alongside this announcement, BSNL also announced the first Robotic Process Automation in collaboration with E&Y. 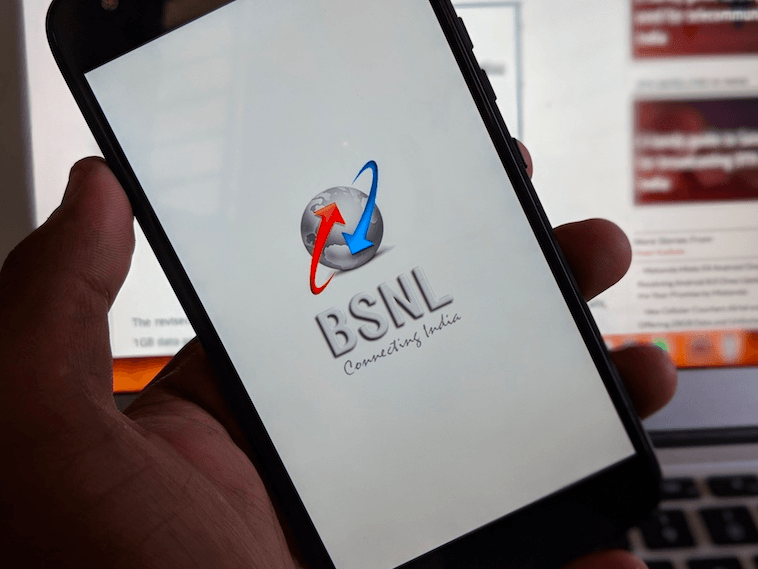 “This technology will help several organisations to automate & perfect their internal processes effectively and at a reasonable cost,” said BSNL in a press statement. As you might be aware of, AdPay was licensed by DoT way back in 2016 as the country’s first VNO. AdPay will be operating under the brand name AEROVOYCE and the MVNO already offering services in areas such as Pondicherry. “AdPay Licensed by DoT in 2016 as first VNO and operates under brand name AEROVOYCE. AEROVOYCE signed as a first VNO with BSNL and started rolling out the services. As commitment with BSNL, DoT and Government, AEROVOYCE is aiming to digitally connect all the rural areas. AEROVOYCE will provide SIM (Voice & Data and Data only) and ISP services, will cover rural consumers, tier2/ tier3 cities focusing SIM (Voice & Data), ISP, IoT, Smart Cities, Agro-Techo Market and Educational Institutes,” read a press statement from the state-run telecom operator. Coming to the other VNO, Plintron is the first pan-India UL VNO License Holder for all Services across All Service Areas. Plintron is launching Internet of Things (IoT) focused service branded as eSIM4Things. “Offering end to end Services including SIM, Connectivity, IoT Platform, Devices and End User Applications through Alliances, Plintron is poised to expand the IoT Market in India, with its partnership with BSNL as its host NSO”, stated Mohan Kumar Sundaram, Group Chairman, Plintron. The bot was formally launched by Anupam Shrivastava, who is the Chairman and Managing Director at BSNL. “This new virtual member to BSNL family shall monitor potential exposure of BSNL to excess TDS, which can reduce cash blockage in excess of Rs 100 crores per annum,” added BSNL. Speaking at the launch, Mr Shrivastava said: “This is a big step towards BSNL’s digital transformation which will enable BSNL to manage its resources more effectively and create new operational efficiencies across business processes. The bot solution was developed by EY, a leading global consulting firm. The EY team identified the issue of excess TDS and designed the bot which is being deployed across the forty-eight circles where BSNL operates. VNOs will help Indian Telecom Industry to take the benefits of telecom innovations to the last man in the society. VNOs are not competitors but effective collaborators with major telecom operators like BSNL. India will become the first country in the world to go beyond mobile VNO to offer services like Landline, Broadband & FTTH using VNO Policy of the Government. AdPay mobile? Sure, I get so much confidence reading the name. LOL. That fraud company named Jio ?